Gujarat is privileged with prosperous heritage of historical records among the states of Indian sub-continent. Gujrat is very ancient state and dates back to pre-historic age. It can be reviewed into three periods- ancient, medieval and modern periods. The name of the state is derived from Gujjaratta (Gurjar Rashtra), which means the land of the Gujjars. It is believed that a tribe of Gujjars traveled to India around the 5th century. 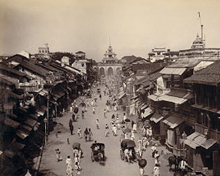 The word Gujarat gained currency during Chalukya period (942-1299 AD). Earlier, parts of Gujarat were known as Anarta, Lata and Saurashtra. The pre-history of Gujrat begins with the first appearance of the early man on banks of Sabarmati. Proto-historic period linked the gulf between pre-history and history. This period was from2500 BC to 500 BC. During this period, there was Harappan culture and Yadav had dominated the historical account. Reviewing literature from Vedas, Puranas, Buddha and Jain literature, It can be said that Lord Krishna had established dynastic rule of Yadavs at Dwarka around 1000 BC. 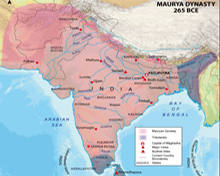 Maurya, Indo-Greek, Kahatrapas, Gupta, Maitrak & Chalukya period was up to 1297 AD. Mauryan rule in Gujarat made real political history. With the decline of Mauryan power and Saurashtra coming under the sway of Samprati Mauryas of Ujjain, there was Greek attack into Gujarat lead by Dernetrious. Saka rulers dominated for nearly 400 years from the start of first century in Gujarat's history. In medieval Period, sultans of Delhi & Gujarat and Muslim period ruled till 1758 AD. Before Muslims finally entrenched themselves into Gujarat in 1298 AD, the Muslims had only an occasional contact with this part of India. It was only after the overcome of Karnadeva Vaghela at the hands of Alauddin Khilji, Muslim rule continued for nearly 400 years either under Delhi's viceroyalty or under Muslim Sultanate. Muslime rule declined after the the assassination of Skinder Shah. The defeat of Bahadur Shah, the last sultan marked the start of the Mughal rule, which lasted for almost 185 years. Modern Period started with the dominance of the Marathas and British Rule upto 1947 AD. Chatrapati Shivaji, the great Maratha ruler who attacked, marked the entry of Marathas in Gujarat. Gujarat has leading role in the freedom struggle especially after Mahatma Gandhi's taking over the leadership of the freedom movement. India achieved independence on 15th August 1947 and a bilingual state of Gujarat and Maharashtra were formed. On 1st May 1960, separate state of Gujarat was formed. Today, the state has once again taken the lead in industry, commerce and culture for which it was known for thousands of centuries. Culturally, there are four groups of people who came to populate this land at different time and now form the majority here. These are Meghvals, Ahirs, Rabaris and Jats. The Patel of Gujarat are wealthy and landlords. The Ahirs came with Lord Krishna from Gokul in Uttar Pradesh. Most of the communities of Ahirs established their business by selling ghee and milk and are now spread all over the state.